Adolf Hitler’s Mein Kampf has become a bestseller in Germany again, 92 years after it was first published. A new heavily annotated academic edition has sold more than 85,000 copies since it was published last year despite weighing in at almost 2,000 pages and coming at a price of €59 (£69). But the remarkable sales are unlikely to be a sign of a resurgent German far-Right or a rehabilitation of the racist text. They probably have more to do with the fact that the new edition is the first time Mein Kampf has been published in German since 1945. 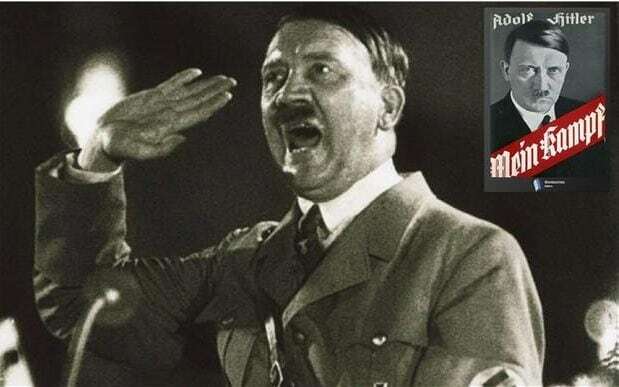 Mein Kampf – ‘My Struggle’ in English – is a rambling screed which contains Hitler’s thoughts on everything from eugenics and race theory to syphilis and the movies, continues to attract a morbid fascination and remains a bestseller in several countries. It is the number one bestselling Second World War memoir and the fourth bestselling book on German history on Amazon’s UK website. But while it sold in translation around the world publication of the original German text was blocked by the German authorities for 70 years — until last year. So dangerous was the book considered that copies in the Bavarian state library were kept in a “poison cabinet” and readers had to be specially vetted before they were allowed access. Mein Kampf was never officially banned in Germany. Instead publication was prevented by the Bavarian state government, which held the copyright. That copyright expired a year ago and the Institute for Contemporary History, an academic publisher, brought out a new academic edition with extensive annotations criticising Hitler’s racist ideology. Originally only 4,000 copies were printed, but sales far exceeded expectations and the publisher has had to order a sixth print run. While the German authorities agreed to publication for academic purposes, the Bavarian justice ministry has vowed to prosecute anyone who tries to publish the text without critical annotations under hate speech laws. A far-Right publisher announced what it called “an unabridged edition without the good guy comments” last year, but prosecutors say the book appears not to have gone on sale. Mein Kampf’s republication has not been without controversy in Germany. Levi Salomon, spokesman for Germany’s Jewish Forum for Democracy and Against Anti-Semitism, described it as a “book of hatred”. Florian Sepp, the Bavarian state librarian, described it as “too dangerous for the general public”. But the Institute for Contemporary History denied that its new edition had made Hitler’s ideology more socially acceptable in modern Germany. “One the contrary, discussion about Hitler’s world view and how to deal with his propaganda has offered the opportunity to look at its disastrous roots and consequences at a time when authoritarian political ideas and right-wing slogans are once again gaining followers,” Andreas Wirsching, the institute’s director, said. Sales of the new edition are dwarfed by the book’s success in Hitler’s lifetime, when it became a standard wedding gift to new couples. In its first year of publication, 1925, it sold just 9,473 copies. But in 1933, when he became German Chancellor, it sold over a million. 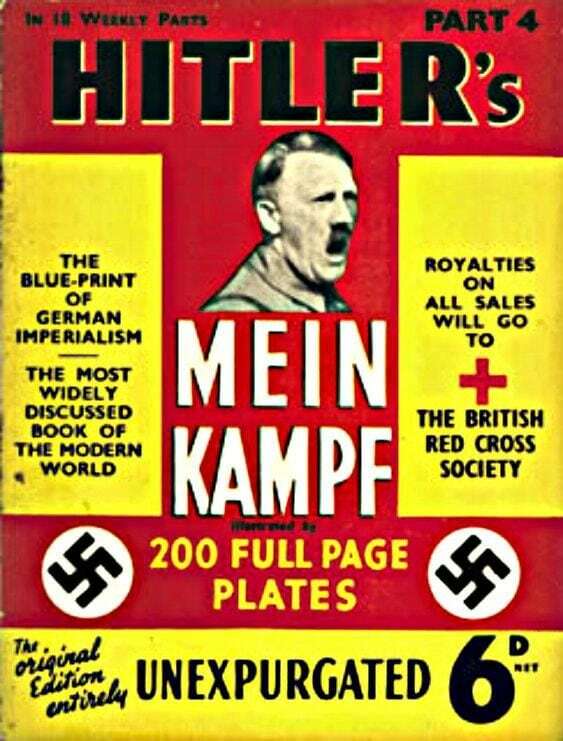 The historian William L Shirer described Mein Kampf as the “blueprint of the Third Reich”. 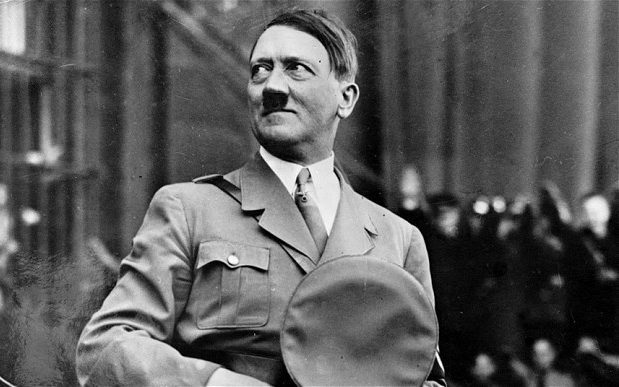 In one chilling moment of foreshadowing, Hitler wrote of the First World War: “If at the beginning of the war and during the war twelve or fifteen thousand of these Hebrew corrupters of the people had been held under poison gas, as happened to hundreds of thousands of our very best German workers in the field, the sacrifice of millions at the front would not have been in vain”. last June, the Italian Right-wing newspaper, Il Giornale, which is owned by the family of former prime minister Silvio Berlusconi, found itself at the centre of a growing row after thousands of copies of the political tract were handed out free with the Saturday edition. The move was condemned as “shameful” and a “total scandal” by centrist and Left-wing politicians.